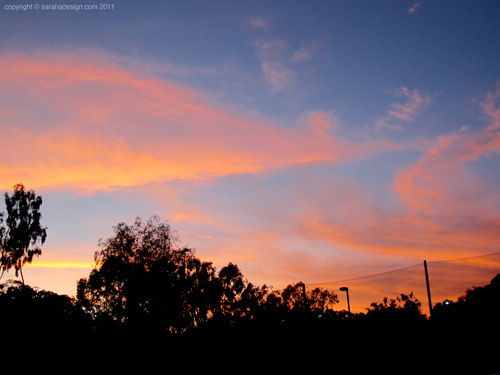 A gorgeous sunset in Irvine, CA. Sometime in January 2011. Please leave a message. Keep it appropriate please! Thanks. SarahLikesGreen.com is a place for me to share my photos, design, art, favourite recipes and other random stuff. Interior decorating and design, homewares and furniture. New recipes! All images copyright © sarahadesign.com and Sarah A. unless otherwise stated. I enjoy sharing but please do not use my images, designs or layouts without permission or, if linking, giving credit to the origins in your post. All inappropriate comments (including any type of spam) will be deleted. copyright © sarahadesign.com 2012. Simple theme. Powered by Blogger.